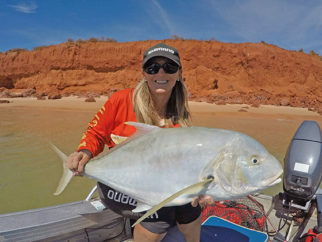 Each year many recreational fishers travel to the World Heritage listed Shark Bay area to experience the safe, sustainable, enjoyable and accessible fishing that the region offers. For the local community, fishing is their lifeblood, forming a huge part of their culture and providing significant economic return to the town. With recent updates to recreational fishing rules and recent recovery of Pink Snapper stocks, the Shark Bay fishing community were driven to develop a Shark Bay Fishing Code of Conduct, to set the scene for visiting recreational fishers and locals alike. The code of conduct aims to educate, inform and help maintain quality fishing experiences whilst supporting the protection of the environment and ensuring the human footprint is minimised for current and future generations in this outstanding region. 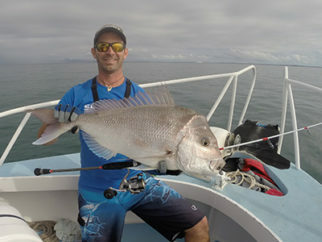 ‘’This Code of Conduct will be of huge benefit to the entire WA recreational fishing community, especially those visiting Shark Bay and those residing in the region, who are determined to preserve the local environment, putting conservation at the forefront of their minds whilst maintaining their passion for fishing.’’ Fishing Development Officer – Matt Gillett. The Shark Bay Code of Conduct follows on from Fishing Codes of Conduct created for the Kimberley Region and the Pilbara Region. This was all made possible via the Round 6 of Recfishwest’s Small Community Grants Program. The next round is currently open and closes on the 12th October 2018. Read about the Grants Program here. Congratulations to the Shark Bay Fishing Club and community for making this happen.